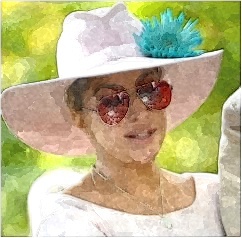 Lady Gaga was smiling as she went to Strawberry Fields in Central Park on October 24 in New York City. The “Poker Face” singer is wearing a pink outfit and pink cowboy hat. She was spotted while bending down to kiss the “Imagine” mosaic in that place. She was interviewed during her visit to the John Lennon memorial that day. She also took the ride on the back of a fan’s bicycle. She was sporting a crop top and jeans when she left her apartment later in the day. Meanwhile, fans could be able to buy their copy of Lady Gaga’s new album, “Joanne” right now.